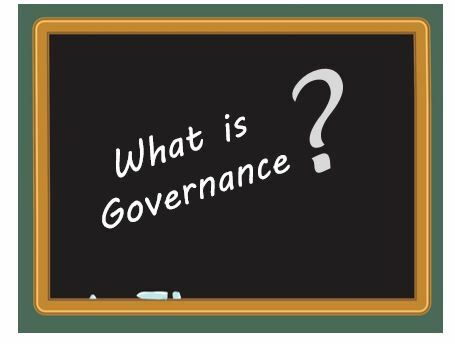 A standard definition of ‘governance’ does not exist. Yet everyone expects organizations to be governed well. It seems a nebulous notion and yet if you are a director on a board then you are expected to ‘govern’ on behalf of all the stakeholders. That may mean a broader audience than the investors. The tricky thing is that ‘governance’ means different things to different people and professions. Many people share a common notion that governance is about ‘corporate accountability and oversight’, but each profession has their own view of what that means. For example, accountants view governance as all about risk and control, economists that it is all about rewards and distribution of wealth, lawyers that it is about rights and responsibilities, and investors that it is concerned with risk and return. Your board of directors may have some or all of these professions on it. Oftentimes a board will make sure an accountant is present to make sure that treasury activities are performed properly. But that may not be the only task the board should be concerned with. You may know governance as ‘what goes on at board meetings’, or ‘oversight of management’. In my experience not many people can describe exactly what is going on at board meetings – or even what ‘governance’ actually is. How do you provide oversight? Isn’t that always looking back at what happened instead of thinking about what should happen in the future? A review of academic literature will reveal that corporate governance definitions range across a spectrum from ‘narrow’ to ‘broad’. A narrow definition is one that restricts the notion to the protection of shareholders and the ability of a country’s laws to protect minority shareholder’s rights. A broad one includes a wider group of interested parties. Consider that as separate legal entities, a corporation’s ability to attract new resources (labour, management, capital, customers) rests on their ability to behave as good corporate citizens and generate returns in a transparent, equitable and safe manner that garners public confidence and trust. And public and media pressure is driving new expectations of global governance where government, business, and civil society are all vested in the outcomes from a business or a not for profit. I will speak to governance as the practice of ‘governing’ an active business or not for profit (NFP) with a view to meeting expectations of a broad based stakeholder group. Why does this matter and how is it different from the management function? Please see my next blog…..